Your wedding day is not one moment. It is the sum of all those moments. These moments rarely choose to stay confined to a 9 hour fragment of your wedding day, they organically happen early, they are sometimes champagne fueled late at night. My philosophy is different than most as I WANT to be by your side for all of them. The story of your wedding and your love deserves to be told in full and by someone who by the end of the night, is hopefully more than just your photographer. These details are where your story is shaped. i have photographed a mother's dress being worn by her daughter, a bouquet with wheat from a fathers field, hand crafted centerpieces that a bride took over a year to make, a long past grandmothers ring. These things are what makes your wedding unique to you. they will always be part of your story. there is something about a black and white photograph that will always grab me, ESPECIALLY of a moment that is full of emotion. it strips away all the distractions and leaves us with the purity of the moment. i do not have any photographer rules when i process a photo in b/w. i just follow my heart and cherish the result. when i first started sneaking my couples away for a nighttime photograph, it was just a trial in doing something i had not seen other photographers do. what is has turned into is a moment of peace where my couples can take a moment and revel in the moment. i love a beautiful sunset and will jump to photograph one but it seems many others in my instagram feed will do that too. what if it is cloudy though? or maybe even you just want to dance with your FRIENDS during that 15 minute window. Enjoy your evening and when your feet are sore and need a break, lets go on an ADVENTURE! we all know the big moments of a wedding. The first kiss, the dance with your father, the toast or maybe even ROAST by your best man... these are the wedding photographer 101 moments. your wedding though, what makes yours truly special, is what HAPPENS in between those moments. they are the unscripted, unplanned and impossible to pinterst pose for moments. these are the moments i will be present for, even if you are not. Do you have a Friday/Sunday wedding, is your wedding during the months of November to April or you or your spouse part of the active military? 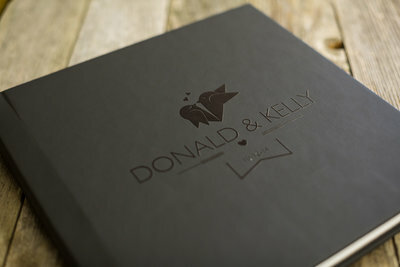 I do offer a discount for those weddings, please shoot me a message! Also, if you are having a small intimate wedding or maybe just do not need all day coverage or a 2nd photographer lets still talk! I want you to be able to build a package that fits your unique day without forcing you into packages that are made for the photographer and not made for you. I have built my pricing on the back of the most important thing I could ever provide you as a couple is more than just photographs. 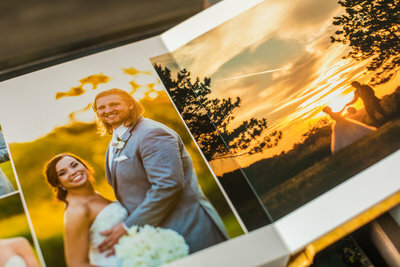 It is delivering you final gallery that is full of authentic to you photographs that will you cherish AND giving you an experience that leads you both to the feeling at the end of your wedding day of looking at each and simply saying "God, I had so much fun!". 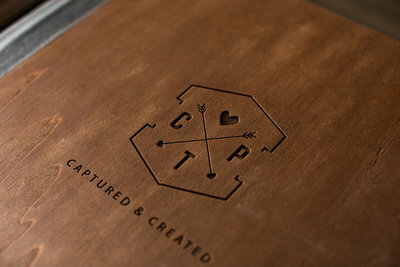 To fully and effectively do both these things for you, the C. Tyson Photography Experience includes these three things. THE C. TYSON PHOTOGRAPHY EXPERIENCE INCLUDES TRUE ALL DAY PHOTOGRAPHY COVERAGE. YOUR DAY FROM YOUR HAIR APPOINTMENT TO THE GRAND EXIT, I WILL BE THERE BY YOUR SIDE THE ENTIRE DAY AND YOU WILL NEVER HAVE THE STRESS IF WONDERING IF YOUR PHOTOGRAPHER WILL BE THERE FOR ALL THOSE MOMENTS. I BRING A TRUE 2ND PHOTOGRAPHER AND NOT JUST ASSISTANTS. I CAN CARRY MY OWN BAGS JUST FINE. SO WHEN I BRING A 2ND PHOTOGRAPHER, THEY ARE EXACTLY THAT. THEY ARE AN EXTENSION OF ME AND CAPABLE OF CAPTURING FAR MORE MOMENTS THAN JUST A 2ND ANGLE DURING YOUR FIRST KISS. I WANT YOU, YOUR FAMILY AND FRIENDS TO BE ABLE TO RELIVE, SHARE, PRINT AND DOWNLOAD EVERY MOMENT OF YOUR DAY. WITHOUT RESTRICTION. YOUR EXPERIENCE INCLUDES A FULL ONLINE GALLERY WITH THESE FEATURES ENABLED. For all my remaining 2019 dates, specials are currently being offered! Contact me for more info! I love bed time talks with my little guy. Those talks where you are laying there and just having conversations that seem to aimlessly wander. Every once in a while though, your child will surprise you with a deep thought or question that makes you pause before you can answer. In the moment where your child looks are through sleepy eyes, trying to delay the inevitable bed time and asks, "What was your wedding like? ", what will your answer be? How about that cool and crisp Thanksgiving afternoon, when your family is close and the bellies are full... what are you going to pass around to relive the moments and emotions of your wedding? These moments are exactly why I include your first heirloom in my photography packages, your wedding album. 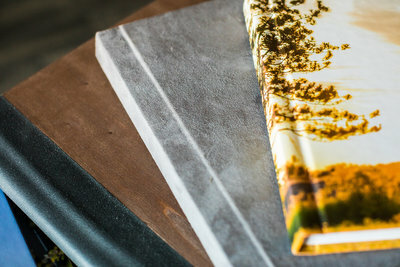 My wedding albums are handcrafted with thick and vibrant pages with a cover selection that will allow you to have something begs to be shown off. From classic leathers, to solid oak and everything in between, I want you to answer your door holding your album and ready to show it off. We will take as much time as you need to craft an album that tells all the moments to your day in a way that you will forever be proud of.